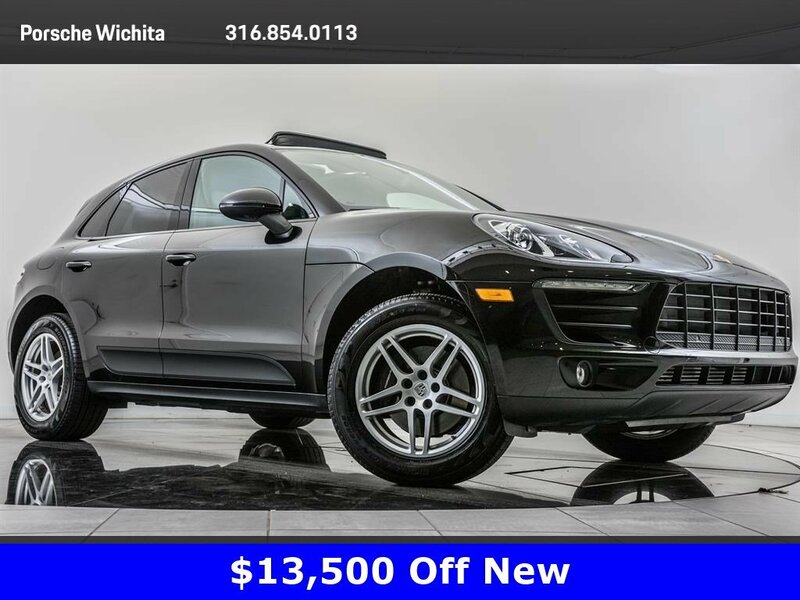 2018 Porsche Macan located at Porsche Wichita. 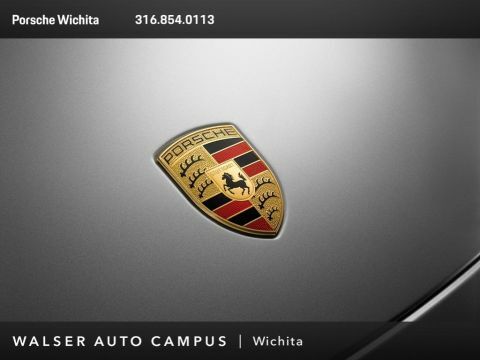 Original MSRP was $59,460. Black with a Black leather interior. 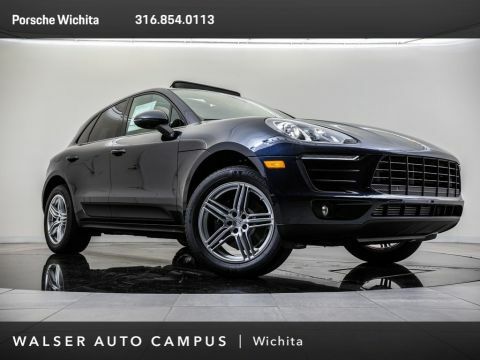 This local 2018 Porsche Macan is equipped with 18 Macan wheels, Porsche Doppelkupplung (PDK), Porsche Dynamic Light System (PDLS), Navigation, Panoramic roof, Rear view camera, BOSE audio, Heated and ventilated front seats, Heated rear seats, Porsche Entry & Drive, and SiriusXM radio.